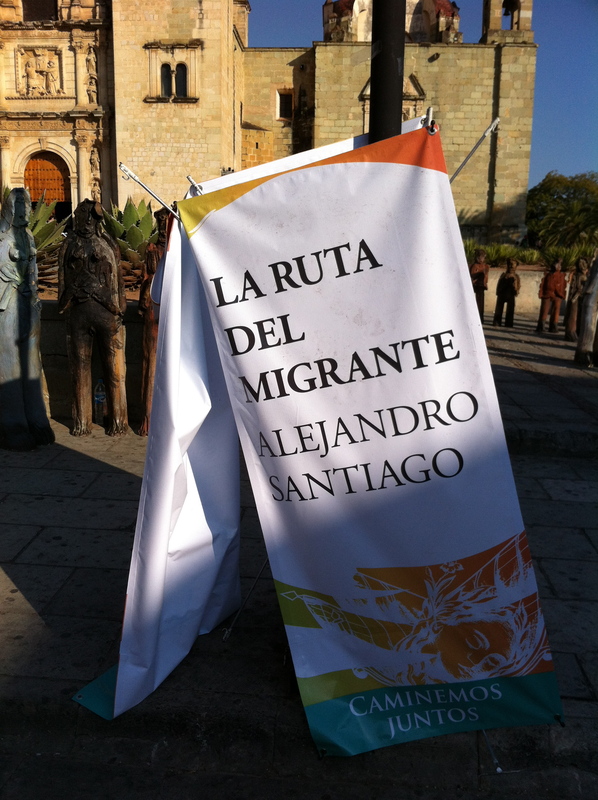 I just returned yesterday from a one-week stay in Oaxaca, Mexico, where I experienced an extraordinary art exhibit by Alejandro Santiago. 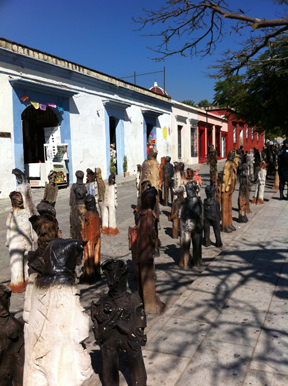 During my family’s first walk into the center of Oaxaca, we noticed policemen unloading truckloads of clay figure sculptures and carefully laying them down on the street in front of the Santo Domingo de Guzman Church. 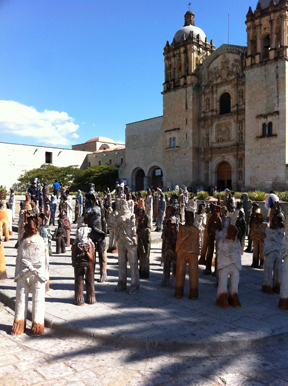 By the end of the day, there were hundreds of these sculptures, now standing throughout the pedestrian area near the church. Policemen guarded them. Visitors took their photographs with the figures. Many simply stared in silent contemplation. Others walked among them. A passerby told us that she had heard that each one represented a Mexican worker killed by American border guards while trying cross into the United States. For several days we accepted her explanation, but it was quite simply wrong! When I teach about the use of primary sources to promote critical thinking, the idea of “sourcing” sometimes comes up. Did the lady with the wrong information represent a primary source much like an oral history or was this only her opinion? Did she have firsthand knowledge of the art exhibit or of the artist? As a learner, I needed to check her “facts” by collecting evidence from multiple sources. If you skim the Web sites and watch the trailer, you will learn that Alejandro Santiago did not intend to make any political statement. His motivation was purely artistic and cultural. 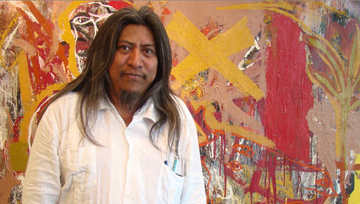 Two thousand five hundred of the figures represent the inhabitants of his native Zapotec village of Teococuilco — more than half the population — who left to find work in northern Mexico and in the United States. The single remaining figure represents Santiago himself. I hope my readers will spend a few minutes following the above links to this remarkable story. How could you use this story to help students understand the impact of immigration on the Mexican families that remain behind? In all the American political hoopla about illegal immigration, is theirs the story that is not being told? I think the potential for deep and difficult conversations and learning is all here in this artist’s story. This entry was posted by Mary, The Primary Source Librarian on Monday, January 2nd, 2012 at 10:52 pm	and is filed under Miscellaneous, Primary Source Teaching Ideas, Recent Posts. You can follow any responses to this entry through the RSS 2.0 feed. You can leave a response, or trackback from your own site.